It's 3am so pardon my grammar. I've been wanting to head back to these tunnels ever since I visited them a couple months ago. 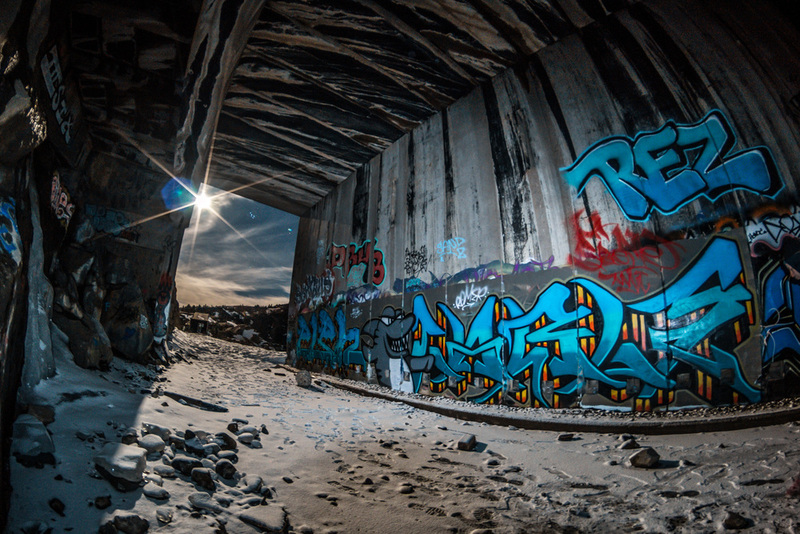 Any place heavily coated with graffiti, I absolutely love. These pictures don't really display the art very well but you can get an idea. It's practically covered. One of the buddies I was with let me borrow his zoom lens so I also got a sweet shot of the moon while we were there. Photography has brought me a lot of new friends, it's simply awesome. Just getting to talk about different cameras n such and exchanging locations makes me so happy.